Iron-oxidizing bacteria are widespread and can occur under suitable conditions in great abundance. 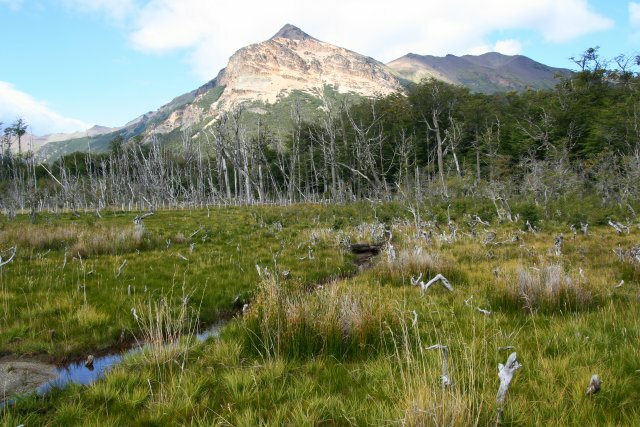 In such systems, these bacteria have a significant influence on the carbon cycle. Presumably, they are also capable of primary degradation of humic substances. 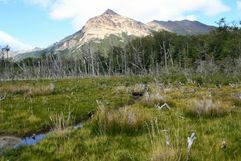 In cold climates, where large quantities of organically bound carbon are stored in soil, they may be involved in the release of climate-relevant gases such as CO2 and CH4 by transforming carbon compounds which are difficult to degrade and thus making them accessible for further degradation processes. 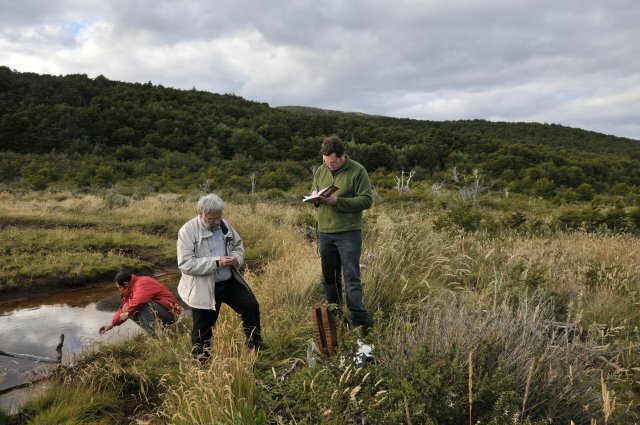 Within the scope of a project funded by the Alexander von Humboldt Foundation, populations of iron depositing bacteria are being investigated in Tierra del Fuego. The project is being developed in cooperation with the PROIMI Institute in San Miguel de Tucuman, Argentina. Research results from other temperate and cold regions of the world are used for comparison. Of particular importance is the experience gained over the past few years in the National Park "Unteres Odertal" and in Norway. 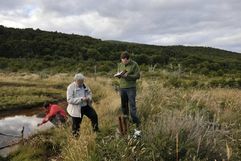 The methods used range from isolation, cultivation and microscopy of iron-oxidizing bacteria, as a basis for physiological experiments and for taxonomic work, to molecular biological methods. Cultivation-independent methods such as the preparation of clones and hybridization techniques are used to provide information on bacterial communities in the investigated systems.